This free vector brand label can be printed on t-shirts, books, canvas, digital artworks, phone cases , notepads, website design or anything else! 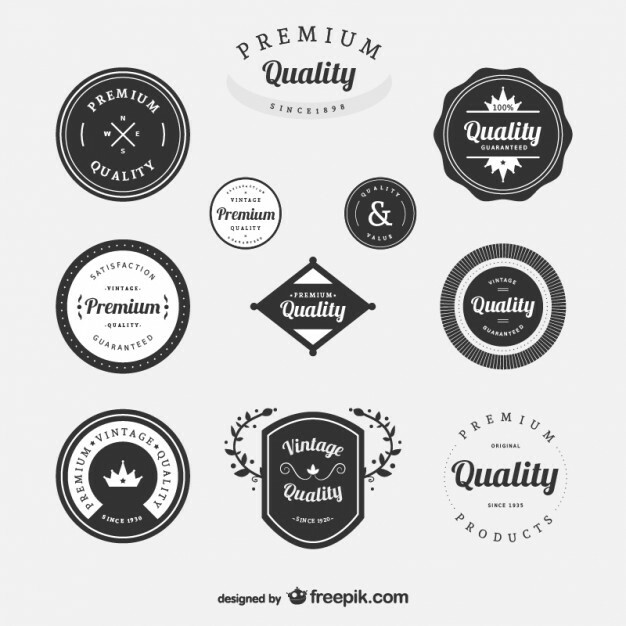 Freepik presents us a set of brand labels like premium quality, vintage quality, satisfaction guaranteed and a lot of simple and elegant logos. For more templates, artworks, digital graphic, designs, free vectors, logos, labels you can visit our website. Now you can download this set of free logos from the link below. Tshirt Factory appreciates free vectors from Vecteezy!